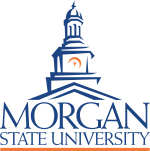 Please join your fellow WDCSITE colleagues, ITS Maryland, and Morgan State University students and professors for workshops and technical presentations at Morgan State University on Thursday, March 7. The meeting will begin with a workshop to help students build and refine resumes and practice interview skills in mock interviews. A reception will follow with food and beverages, followed by technical presentations. PDH credit(s) will be available. Should you have any questions, please contact Adam Greenstein (adam.greenstein@wsp.com; 410-246-3843) for further details.